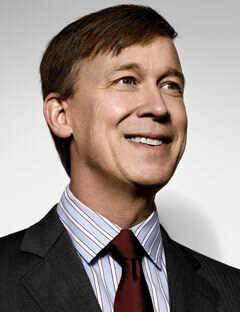 On Tuesday, Colorado Governor John Hickenlooper submitted his spending plan for the 2011-2012 fiscal year. The plan calls for significant cuts to many programs across the State. However, his plan did protect services for individuals with one or more developmental disabilities, and for that I want to offer my sincere appreciation. Those of us in the DD field are well aware of the incredible challenges facing the State budget process during this down economy, and have accepted and adapted to substantial cuts in funding over the past few years. However, the system has been strained to the limit by the cuts, and the threat of further cuts was cause for much concern about the ability of our State’s dedicated service providers to continue to provide safe, quality services. So from all of us at Imagine!, thank you, Governor Hickenlooper, and your entire administration for protecting some our State’s most vulnerable citizens. We are “on board” with your promise to make a government that is essential, more efficient, effective, and elegant. Our goal at Imagine! is to help the individuals we serve aspire to, and achieve, a fulfilling life of new possibilities. Your assistance in protecting that goal is invaluable.